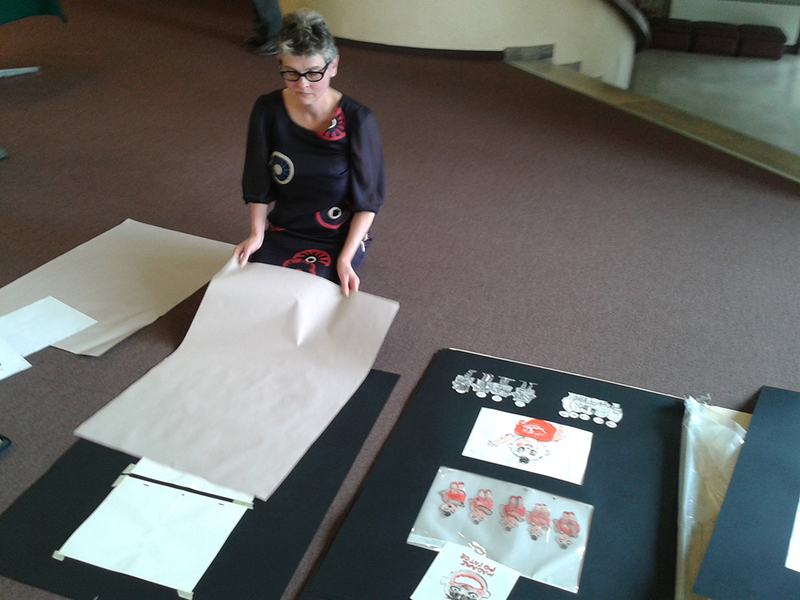 I have just returned from running an animation workshop with Zsusanna Szabo at the School of Animation in Cakovec (SAF). The workshop this year was part of the 40th anniversary celebrations. So I was honored to have been invited. Even better I was asked if I wanted to have a small exhibition at the near by Cultural Centre. 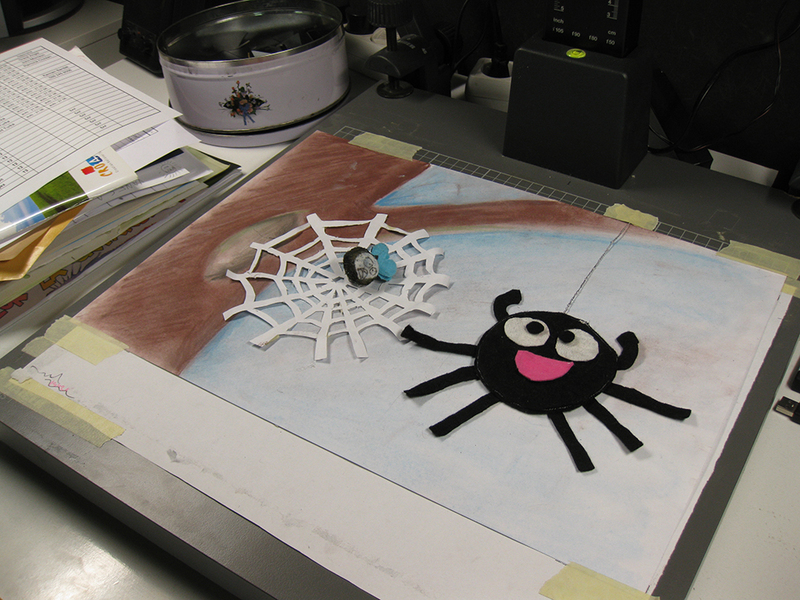 The Workshop runs all year round for children between 8 and 15 years old. It’s current leaders are Edo Lukman who founded SAF in 1975 and Jasminka Bijelić Ljubić. Jasminka joined SAF in 1998. More info on SAF can be found on their website. The high light of the trip was the closing night ceremony, where we were treated to some of SAF’s vintage films and their latest 40 min film from 2015. SAF is unique in the world, the quality and the volume of children’s animation, over 250 films and 150 workshops produced over the years. I would love it if someone could set up something in the UK like this, but with the state of current funding, there doesn’t seem much hope of that. We showed our workshop film at the ceremony. Our film was created by each child picking two different words from a Hat and creating a tiny film from that. The kids got stuff like Laughing Spider, Winged Carrot, Party Baby etc…It was quite ambitious for the time allowed, but still showed what can be done in a short space of time, with talented and keen participants. We also got the children to do some pixelation on the first day, as a fun way to get to know each other. The children came from the UK, USA, Romania and Croatia. 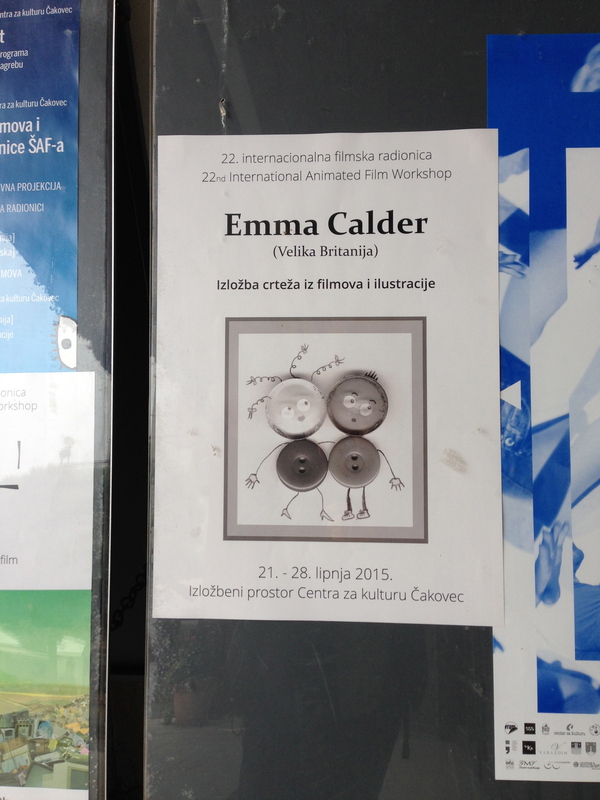 This entry was posted in Animation, Stop Frame, Workshop and tagged Animation, Cakovec, Emma Calder, Worksop, Zsusanna Szabo on July 3, 2015 by admin.